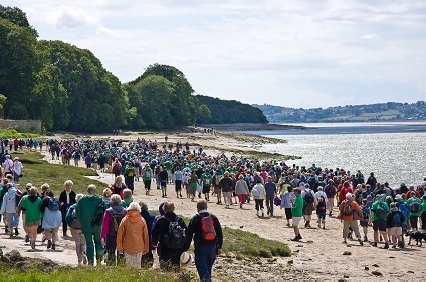 Taking part in a Cross Bay Walk is an exceptional way to enjoy the stunning beauty of Morecambe Bay. Crossing is only possible at certain times of the year and under expert guidance. The Queen’s Official Guide to the sands will lead the walk across the biggest expanse of tidal mudflats and sand in the UK. The walk is just over 8 miles and takes between three to four hours to complete. Please be aware that there will be water – at least knee deep – to walk or wade through and that there is uneven ground at the end of the walk. Today’s walk has been organised by Friends of the Lake District.